A newly installed kitchen fitted to full catering specification with stainless steel work surfaces, double stainless steel sinks, catering range gas hob and electric oven with full extraction. 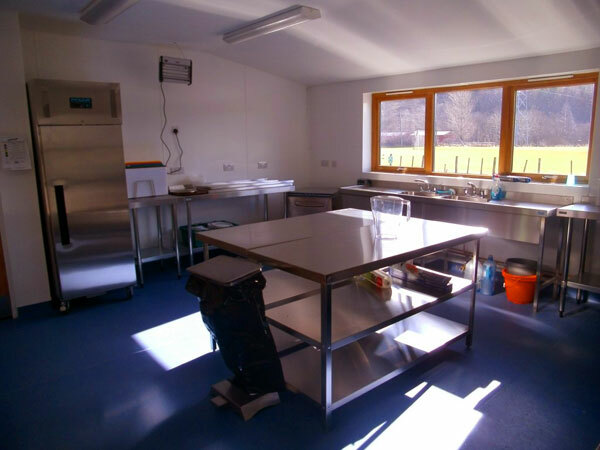 Commercial refrigeration equipment and dishwashing facilities along with microwave and coffee machine ensure that any user will be able to provide their event with the highest standard of food and refreshments no matter the size or nature. The kitchen has a rolling servery shutter and serving counter along one side of the room allowing direct serving of food and beverages to the Main Hall.